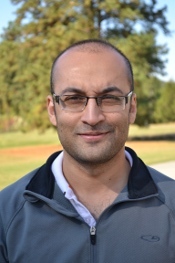 Taha Afzal, Managing Partner and Co-founder. While we’ve been around for almost a decade, BTS operates like a startup and just like most, responsibilities include anything that needs to be done. However what I enjoy the most are product design, developing volatility management tools and electronic trading algorithms. Technologist. During the last few months of graduate school, I got exposure to financial engineering which got me interested in derivatives, and as luck would have it, a friend of mine forwarded me an email of his friend who was looking to hire developers at an Options trading firm. That firm was Blue Capital Group, from which Blue Trading Systems was spun off, and the hiring manager was Pedro Pinto. I believe that close relationships with clients is one of our strengths. The founders stay in constant touch with our clients, and whether it is discussing volatility curve dynamics or helping them optimize their electronic trading engines for maximum performance, we are always there to help them. We love to discuss ideas with our clients and incorporate their feedback into the system, to make it a win-win situation for both sides. Technologically, we have never been stronger. Philosophically, we have never been more in touch with our strengths. Rapidly growing and fast evolving regulations for one. For algorithmic traders, its the need for speed and the constant challenge to be at the forefront of it (thankfully, that works in our favor). There is also the ever growing volume of data, which presents its own challenges. Embrace the changes, things move quickly. However, respect the basics and fundamentals, they never go away. Hire the best people you can, and trust them. King Cobra. It eats other snakes ! If we have piqued your interest, please visit our About Us page for more information about our people and our history. We also invite you to learn more about our superior options and futures trading platforms BTS Edge and BTS Spark. 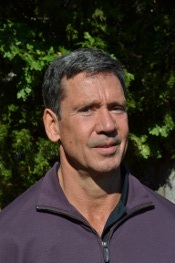 Trev Colvin, CEO, which in my case is a misnomer. I am the oldest and put in most of the money. I provide managerial and business guidance. I defected from science to finance. Lucky me. It’s been great. I love the urgency. It’s exciting. We genuinely care and try to give them better service than they ever thought they would get from a software vendor. I wish they would bug our offices so they could hear how we talk about customer service amongst ourselves. It’s a big deal. We have acquired wisdom and character from humiliation. Dwindling volatility and figuring out which, if any, aspect of your intelligence will not become irrelevant when replaced by its superior artificial version. Figure out how to be your authentic self and develop your natural gifts instead of trying to prove something, to whom? Nobody cares. Buddha, because he is the highest form of animal I know. From all of us at Blue Trading Systems, we wish you a happy and healthy holiday season. We had a great year, splitting time between enhancing our options system and developing our new futures spreader. It has been a pleasure to serve you. We look forward to continuing our partnership, working to help you keep your competitive edge sharp in 2018. 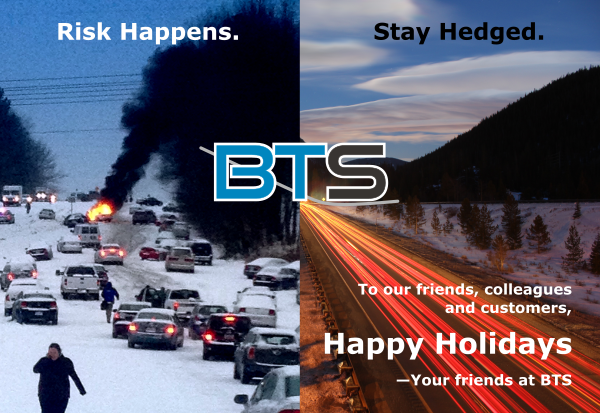 While you are always invited to visit us at BTS headquarters, we want to remind you that North Carolina winters make for risky travel conditions. With the new year right around the corner, we are gearing up for a busy first quarter. We will be attending events organized by the Securities Traders Association of Chicago and the Futures Industry Association, enhancing our options trading platform, BTS Edge, and bringing our new futures trading solution, BTS Spark, to the market. Please read below if you are looking for information about our superior derivatives trading products or on where you can find us in the new year. As we look at the calendar of events for 2018, we are excited to plan for the Securities Traders Association of Chicago’s Mid-Winter Gathering in January. We will be attending the conference to gather information, meet with industry participants and hear what is going on in the world of trading and technology. Later in the quarter we plan to attend the Futures Industry Association’s 43rd annual FIA Boca conference. This event brings together the industry’s most influential thought leaders to explore the current state of the cleared derivatives ecosystem. We look forward to catching up with our current partners as well as establishing new relationships. Next year we will also continue to enhance our options trading platform, BTS Edge. Our advanced trading system offers an intuitive user interface which both assists with trading decisions and scours the market for opportunities. The flexibility in setting volatility curves to reflect true market value leads to reliable prices and realistic, accurate risk reports. Together these tools provide a superior technological foundation for market makers, proprietary trading groups and brokers alike. In 2018, we will also be bringing our new futures trading solution to the production market. We developed BTS Spark due to market demands for more control over server hardware, better support from vendor partners and lower latency in the futures space. In fact, we are collaborating with Celoxica to offer an accelerated version of BTS Spark with expanded market coverage. The result is far less market data jitter through lower, deterministic latencies and superior overall trading performance.